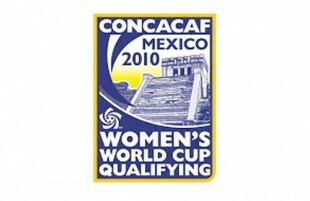 Up until this do-or-die contest for third place in the CONCACAF qualifiers for the 2011 Women’s World Cup in Cancun, Lori Lindsey of the Philadelphia Independence had played a total of 53 minutes in the tournament, coming in as a substitute in the final match of group play on November 1 against Costa Rica. When the US won that match 4–0 to take first place in Group B, the road to the World Cup consisted of one step: defeat Mexico—a team that had not beaten the US in 25 previous matches and the second place finisher in Group A—and the US was assured of finishing first or second in the tournament and automatic qualification. Instead, playing in front of an exuberant home crowd, Mexico shocked the US with a 2–1 win. Suddenly, the road to the 2011 Women’s World Cup had become three steps longer and a whole lot more precarious. In each of its previous qualification matches, the US had been slow in starting and establishing a rhythm. Against Costa Rica on Monday night, Lindsey revealed herself to be the missing component to the US attack. In the 17th minute, Lindsey was the penultimate target of a quick series of passes that found her free at the left side of the penalty area. Spurning a half-chance at a shot, Lindsey instead slowed the ball down and gave a short pass back to an advancing Lauren Cheney. Cheney cut left and her shot from 16 yards out deflected off of a defender past the wrong-footed Costa Rica keeper. Little more than a quarter of an hour later, Lindsey finished a fine display of dribbling down the left by cutting inside to issue a pinpoint chip over the Costa Rica defense to Abby Wambach. 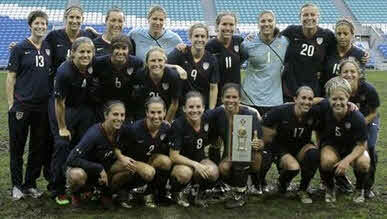 Wambach made no mistake, delivering a full volley strike with her left foot from seven yards out, and the US was up 2–0. Cheney would add an assist to her goal n the 50th minute. A dangerous breakaway from Cost Rica’s Monica Malvassi ended with a shot off of the post that was cleared for a US counter attack. The ball came to Cheney at the top of Costa Rica’s penalty area where she held the ball up and passed to Wambach on the right side of the box. Wambach’s sliding strike found the upper left corner of the goal. In all, the US recorded fourteen shots, nine of which were on goal. Philadelphia Independence forward Amy Rodriguez came into the game as a second half substitute for Heather O’Reilly at right midfield. Heather Mitts was available but did not play. The US must now play Italy, who finished fifth in UEFA qualifications, in a two-leg home-and-away playoff series to qualify for the Women’s World Cup. The winner will be determined by total goals scored over the two matches with the first match taking place on November 20 at Euganeo Stadium in Padova, Italy. The return leg is on November 27 at Toyota Park in Bridgeview, Illinois.